2018 has been an eventful year for General Electric (GE) and its shareholders, as this storied company will finish the year with a new CEO, Mr. Larry Culp, and in the midst of major restructuring efforts (not the first time hearing this, right?). 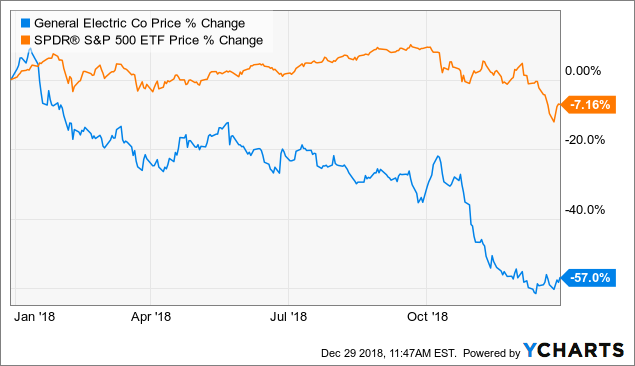 As such, it should come as no surprise that GE shares have significantly underperformed the broader market over the last 12 months. Yes, it has been that bad. GE is positioned to spin/sell off several major businesses, including GE Healthcare, and I believe that most of the bad news is already baked into the stock. However, as I described in “GE: It Ain’t Goin’ Be Easy“, it is going to be tough sledding to turn around this large conglomerate, but, in my opinion, Mr. Culp is the right guy for the job. But, it is important to also remember that Mr. Culp and team have some great assets that can be utilized to jump start the recovery process, and it all starts with the GE Healthcare spinoff, in my mind. Therefore, while I agree with many of the points made in “General Electric Healthcare IPO Is Too Risky In This Environment“, I believe that the GE Healthcare spinoff is just what the doctor ordered, even in this market. 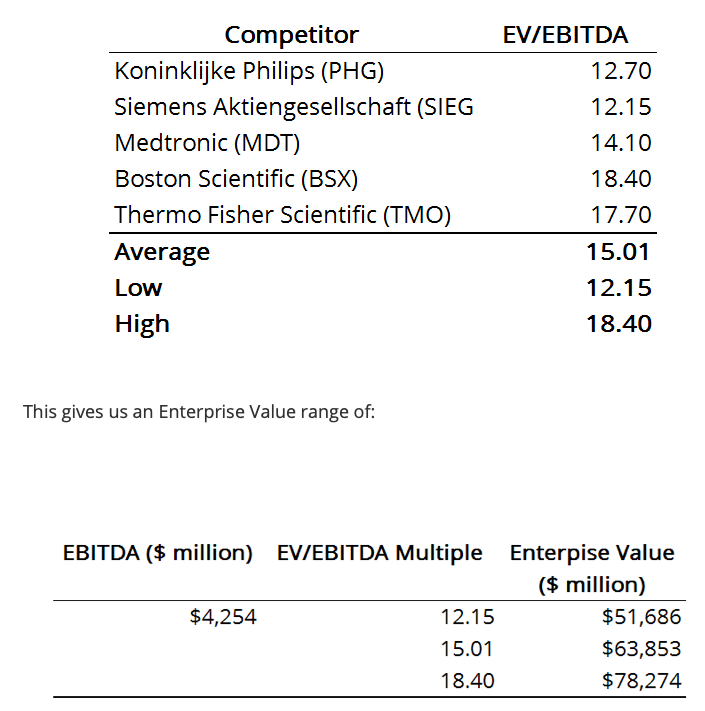 The GE Healthcare spinoff should be viewed as a direct attempt to unlock shareholder value. Many people ask why it would make sense for GE to get rid of a promising business like GE Healthcare, and while it would be great if a large collection of “good” businesses could be managed under one umbrella, I believe that it is now time for GE to create a more focused, simpler business. 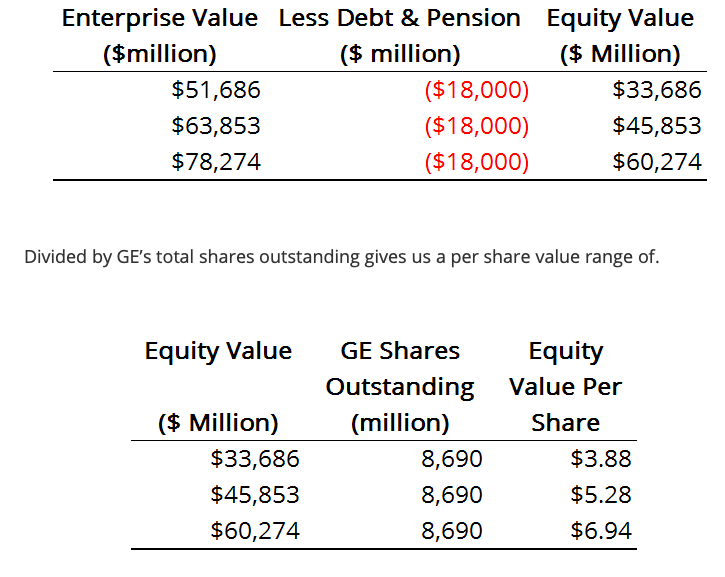 To the point of unlocking shareholder value, GE Healthcare does not get the respect/love that it deserves from the market so, at the end of the day, something has to be done. In my mind, this is the overarching reason to proceed with a spinoff. GE Healthcare is a growing business that has been able to report strong operating results over the last five years. The segment’s revenue is up single digits (5%) over the last five years, but, more importantly, profit is up by an impressive 13%. Additionally, management has been able to improve GE Healthcare’s operating profit margin by over 100 bps. Over the first nine months of 2018, GE Healthcare’s operating results show that this business unit is in a great position heading into 2019. And management has continued to improve the unit’s cost structure, as shown by the fact that the profit margin is up 50 bps YoY. The takeaway from the first two points is: GE Healthcare is a collection of assets with promising business prospects, and the numbers prove it. When taking a step back, I believe that the benefits of a GE Healthcare spinoff are threefold: (1) GE Healthcare will be valued like it should be, (2) the new GE will receive some much needed capital [let’s also not forget that approximately $18B in liabilities are going with the business unit], and (3) Mr. Culp and team will be able to focus their attention on a more streamlined business, which is especially important given the current state of this conglomerate – the Power unit should be front of mind. It was reported that GE confidentially filed for the GE Healthcare IPO, and Mr. Culp recently floated the idea of spinning off a larger portion of the unit, so the market should get ready for this soon-to-be new publicly traded entity. GE Healthcare could have a market cap in the range of $33B-$60B. GE Healthcare represents a material amount of the current share price for GE (the stock is trading at $7.51 per share). I could provide at least three additional research reports estimating the value that GE Healthcare may receive, but I will save you the time by saying that most, if not all, analysts believe that the business unit makes up at least 50% of GE’s total market cap as of today (approximately $65B). I previously calculated a pre-liability market cap for GE Healthcare of $75B. AMM’s report is more conservative, and probably a little more realistic given the broader market dynamics. Downside risks: (1) The company has significant fines related to the DOJ/SEC investigations, (2) Power takes longer than 18-24 months to recover and burns through cash, (3) management has a fire sale and disposes of assets at rock bottom prices, (4) the company’s credit rating hits junk status, and (5) additional insurance reserve charges are booked. Upside risks: (1) the spins [Transportation, Healthcare, and Baker Hughes (NYSE:BHGE)] bring in more capital than anticipated, (2) the pension deficit shrinks as a result of the positive tailwinds, and (3) well-known investors put money to work in GE which leads to a positive change in sentiment. Make no mistake about it, GE is a high risk/high reward stock at this point in time. A turnaround will not be easy, and it will likely take an extended period of time (years instead of months), but I believe that management is already heading in the right direction. In my mind, the GE Healthcare spin will be a giant step forward. Mr. Culp has a finite amount of capital that can allocated across the business portfolio so, at this point in time, it simply makes more sense for GE Healthcare to operate as a standalone entity. It helps that GE Healthcare is a great business that operates in a promising environment. In my opinion, GE Healthcare could turn out to be the catalyst that gets GE’s stock back into the double-digit range. Lastly, I believe that the spins (Healthcare, Baker Hughes, & Transportation) will eventually lose the conglomerate discount that is currently being applied in the years ahead. As such, the asset disposals (including the GE Healthcare spin) will benefit the newly created entities and the “New GE” in 2019 and beyond. GE is definitely still a 3- to 5-year story, but I believe that the stock is a great long-term investment, if it meets your risk/return profile.